Isn’t that an ”old’ technology? Yes, but they are widely used for student, employee, and membership IDs. They are also popular in the realm of loyalty rewards and promotions. One of our university clients wanted to track student attendance in class, study halls, and at extracurricular activities. However, their student ID cards did not have barcodes. Instead, their student IDs were embedded with a magnetic stripe on the back of the card. Since attendance tracking is one of the most popular configurations for codeREADr, we decided to add reading magnetic stripe reading as a data capture method. After researching hardware options, we settled on the Shuttle. 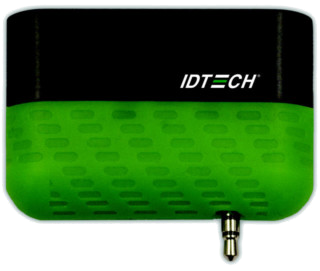 It’s a low cost, magnetic stripe reader that plugs directly into the audio jack of smartphones and tablets. It can read the encrypted data embedded in credit cards but, importantly, it can also read the simple IDs typically used for student, employee, membership and loyalty cards. The device can be purchased directly from the manufacturer for under $50 and, unlike similar devices from payment providers such as Square and PayPal, the Shuttle can be purchased without committing to a payment application. How Does Reading Magnetic Stripes Compare with Other Data Capture Types? Scanning barcodes is the fastest capture method and the app user doesn’t need to hold the card to scan it. Tapping NFC is not particularly fast but the person holding the reader doesn’t need to hold the NFC card to read it. Also, NFC tags can be more secure than barcodes. Manual text entry is slow but a good backup method in case the other methods fail. Voice entry is surprisingly fast, especially when using an on-device database and searching for a name or first few letters of an ID. The benefit of voice entry is that the card you are searching for doesn’t need to have a barcode, NFC or mag stripe; all it needs is the printed name and/or an ID number. In fact, this option will work using any ID. Reading a magnetic stripe is fast and reasonably efficient, but there can be mis-reads which require swiping again. The person holding the reader app needs to hold the card to swipe it unless the smartphone or tablet is mounted on a table or counter. When mounted, the card-holder can swipe the card themselves in the same way they swipe a credit card when paying for goods.